I've finally finished restyling this dress I bought sometime last month. I got it for $5 from the Salvation Army and loved the pattern and soft material. 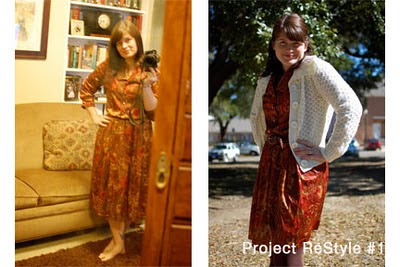 To restyle, I just hemmed the bottom and added a belt and cardigan. Now I know I'll get tons of wear from it!